This is the 50-36 Template. It was developed for people who need a narrower bar than the ASTM E8 standard, but want one longer than the standard subsized specimen. The 50-36 template makes a specimen which is .500″ overall width and about 8″ long. 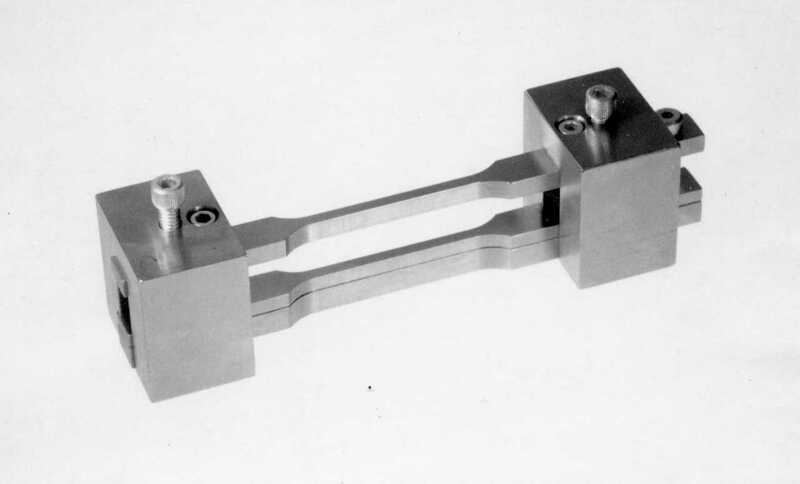 The gauge section is .250″ wide with a taper of .001″ to .002″, a gauge length of 2/00″, and a reduced length of 2.25″. This template is used with the 10-33 table model Tensilkut I, 10-38 Floor model Tensilkut I, and the 10-85 Tensilkut II. Similar templates which make the same specimen are available for use with other Tensilkut models. Please contact us if you would like a quote for this or any other template. This entry was posted on November 12, 2013 at 7:05 pm and is filed under Templates, tensile samples, Tensilkut I, Tensilkut II, Uncategorized. You can follow any responses to this entry through the RSS 2.0 feed. You can leave a response, or trackback from your own site.